He’s got his own line of clothing, he’s a big hit in most of the world yet a relative unknown to most American music fans, and he made his Chicago debut last week- he’s Belgian singer Paul Van Haver who goes by the stage name Stromae. 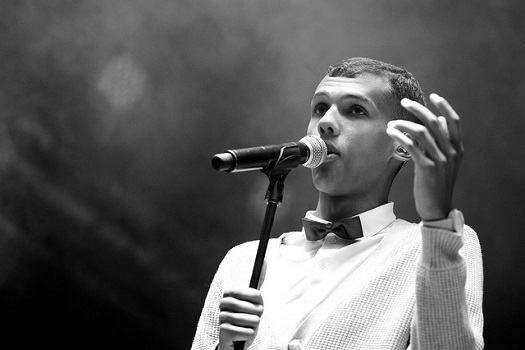 This week on Global Notes, Morning Shift and Radio M host Tony Sarabia will look at Stromae’s rise in popularity, his musical influences and the story behind that stage name. Also, we&apos;ll get a word from our production assistant Emmanuel Dzotsi, about Stromae&apos;s Chicago debut. Tony Sarabia is the host of WBEZ Morning Shift. Emmanuel Dzotsi is a production assistant for Worldview. President Barack Obama and Cuba’s president, Raul Castro, met on Tuesday during UN General Assembly meetings in New York City. They both spoke of ways to deepen renewed ties between the two countries, but they also had points of contention. Mr. Obama pressed Mr. Castro on Cuba’s human rights record and Mr. Castro insisted that the U.S. close the Guantanamo Bay military prison and return the land to Cuba. We’ll talk about the change in Cuba-U.S. relations with Geoff Thale, program director at the Washington Office on Latin America. Guest: Geoff Thale is the program director at the Washington Office on Latin America and Director of WOLA’s Cuba program. Animal communication has been observed and documented for centuries, but only recently, have studies shown that we’ve only scratched the surface of understanding this complex world of grunts, barks and howls. For our EcoMyths segment, Kate Sackman and Beth Kosson of EcoMyths Alliance, will join Bill Ziegler, senior vice president of Animal Programs at Brookfield Zoo. They’ll tell us about the noisy world of animal talk and explain how deciphering their languages can aid in conservation efforts. Bill Zeigler is with the Chicago Zoological Society. He is senior vice president of Animal programs at Brookfield Zoo. Kate Sackman is the founder and president of EcoMyths Alliance. Beth Kosson is the interim executive director of EcoMyths Alliance.